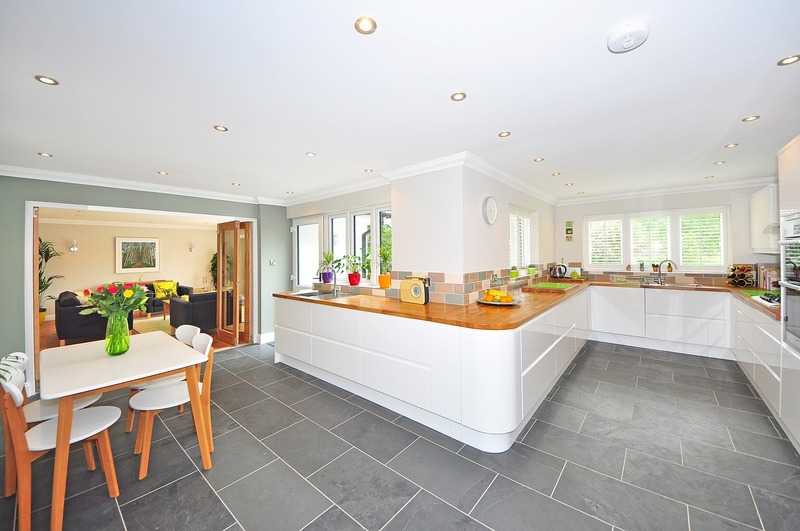 Looking to renovate your kitchen? Why not consider the hottest designs trending for 2019? You can incorporate the latest technological advances with the most beautiful and awe-inspiring accents. From natural stone to time-tested finishes and decorative accents, check out these hot kitchen trends overtaking homes this year when consider your new kitchen cabinets in Corona CA. Homeowners are getting a little more rustic this year, choosing natural stone for countertops and beyond. Waterfall edges and tall backsplashes are taking over, with fabricated drawer fronts and hood vent covers revealing a natural stone façade. Quartz specifically is a good choice as it’s timeless and virtually indestructible thanks to its harder surface than granite. Matte black fixtures and hardware are starting to grow in popularity, along with charcoal cabinetry. What was once considered a minimal and stark choice that stood out in all-white modern kitchens is now an appealing way to add contrast to wood cabinets and more traditional Shaker-style kitchens, says House Beautiful. It’s now on-point to blend two different cabinet colors in one kitchen. You may pair rich wood cabinets with painted cabinets in a vibrant color. You can mix and match the uppers and lowers and make them distinct from each other, or mix up each level with contrasting colors. Stark, all-white kitchens are giving way to their opposite: dark, moody-hued kitchens in black and dark green. These will add an elegant sense of drama to any home, are easier to manage, and are an elegant alternative to standard whites and grays. Say goodbye to stainless steel and hello to colorful, patterned elements for conversation-starting appliance choices. Go with standard neutral tones or step it up a notch with wild colors and patterns to break away from the stainless steel mold that has overtaken kitchens for the last decade. You can even extend this reach to ranges and hoods in surprising shades of calming pastels and even primary hues. When you source deeper than average drawers, you make cooking, prepping and storing so much easier, especially when placed in high-traffic cooking areas such as next to your range. For those kitchens short on space, you can cleverly add more prep and counter space instantly with sliding covered sinks. These pull double-duty of adding workable space and concealing a sink full of dirty dishes. To achieve an off-kilter layered look that still offers a rich and layered look, combine various metals such as copper hardware, silver finishes and brass fixtures for a more laid-back yet elegant statement. Your new 2019 kitchen awaits! To get started on ideas, get in touch with us for a free kitchen design. We offer the very latest styles at wholesale prices that will transform the look of your kitchen, from wholesale kitchen cabinets to fixtures and countertops that pull the whole look together.